Oh man. This week has been insane. On top of taking tomorrow off work to eat pancakes and throwing my weekend schedule off, I had to work from 3pm to 7am so I’ve been totally out of it. Beyond that, this is all I’ve managed to do this week aside from finish up a page of my webcomic. This is about as far from done as it can get, but please enjoy it and any comments and critiques are welcome. Sidenote: I don’t know what happened. He started out a nice chocolatey brown and now he’s kind of…I dunno…what? Yes, it’s a male. What? WHAT? 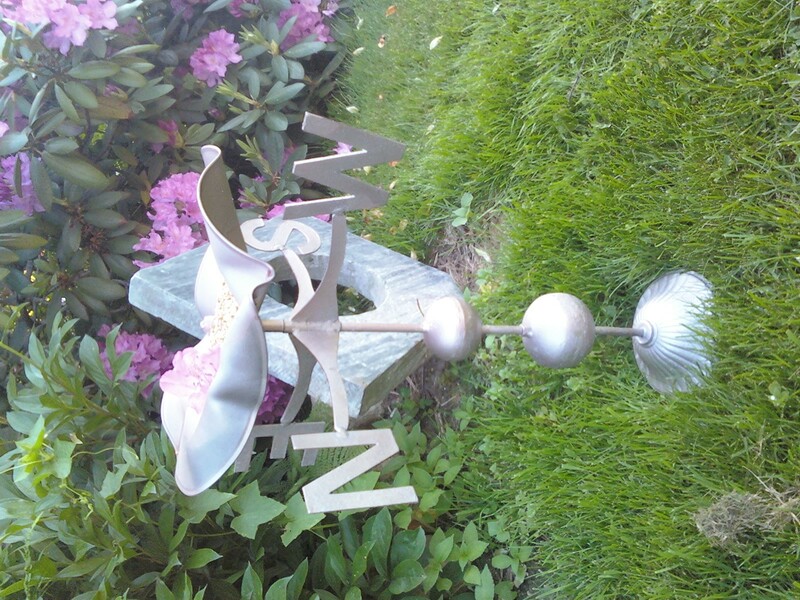 I’ve been looking for a way to give new life to this old vintage weathervane I found when I lived on Cape Cod. The top is broken off and it’s in kind of rough shape, but I saw potential. I was inspired by Bill Pelon’s submission a few weeks ago where he made a clock out of an old record, and was trying to figure out what I could do in the same medium. Over the holiday weekend, we had a BBQ at the house. Good food, good friends, good blender drinks… I brought out my stereo from the basement, and set it up to play the radio. A few hours into the party, I went over to the stereo and realized… I left a record on the turntable, under the black cover in the baking hot sun. Oops. It was one I really liked, too. 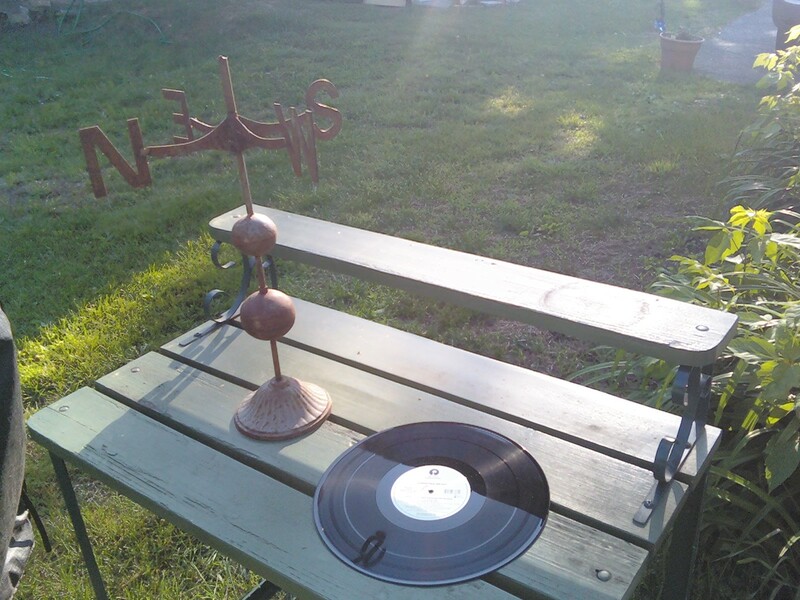 With the help of my trusty cordless Ryobi drill (available at your local Home Depot) I made the spindle hole a bit larger to fit over the top of the weathervane, sealed it on both sides with clear silicone, and spray-painted it with a satin finish metallic spray paint. 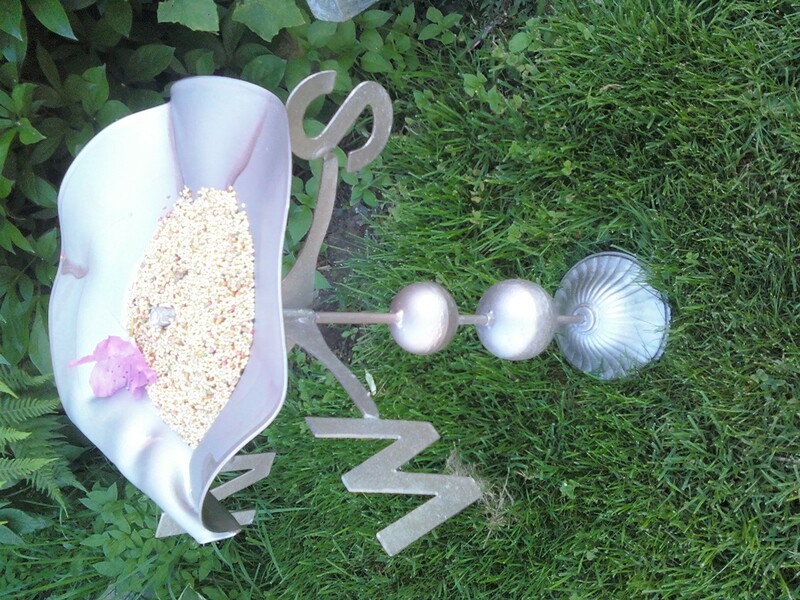 The result is a one-of-a-kind bird feeder. It’s now in our front yard, awaiting it’s first visitors.